The Law Society sends out, by email, a newsletter containing summaries of “Recent Supreme Court, Court of Appeal and High Court reserved written judgments”. I always try to scan through the decisions which cover a wide range of topics ranging from disputes about wills to personal injury claims to prisoners claiming infringement of human rights in jail, and so forth. I do so because it is useful to try to stay on top of the various legal principles which are confirmed or changed in some of these cases. But another reason is to read the actual decision from an English language perspective. I am a lover of writing, language, words and sometimes a Judge will use a particular turn of phrase which ranges from amusing to sublime. Last week, I came across an amusing one in the personal injury case where the plaintiff suffered a ‘degloving’ injury when attempting to access the eastern platform of a Dart station through an unauthorised route. He sued the operators of the DART light rail system. The injury he suffered was a serious one, no doubt about that, as he had to endure the amputation of the injured finger and a disfiguring and debilitating permanent injury to his left hand. But he needed to establish liability on the part of the defendants, Transdev Dublin Light Rail Ltd and Transport Infrastructure Ireland. 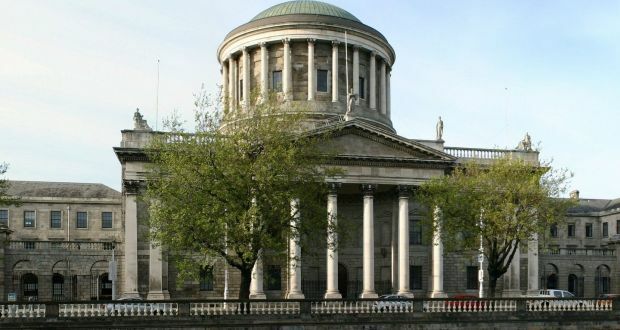 Justice Hanna dismissed his claim on the basis that “the level of folly attained by the plaintiff” was to such a degree as virtually to extinguish any potential fault on the part of the defendants. The next time one of your kids misbehaves and you want to explain why he is being deprived of some treat you can refer him to the “level of folly” his conduct has recently exhibited as the root cause.